Benefit from a 30-minute approval and a same-day deposit! 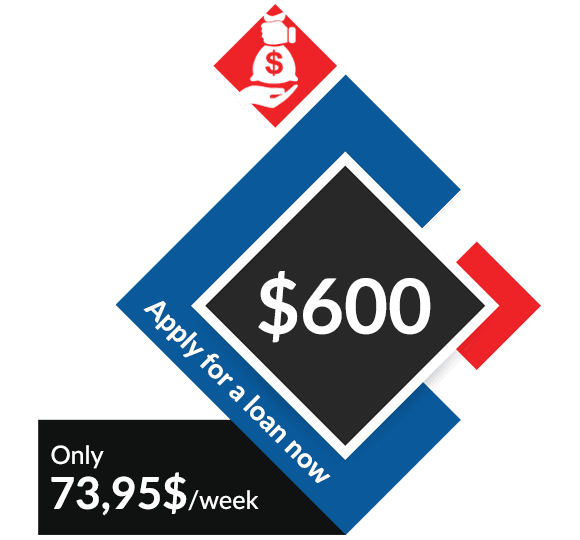 DMO Credit is Canada’s fast loan solution. Get out of a stressful situation quickly through one of our micro-loan solutions. DMO Credit uses advanced technology that lets you complete your application 100% online. Avoid useless travel and documents: our online form enables you to obtain a quick approval. Plus, IBV technology ensures that your personal loan application is highly confidential and secure. Our micro-loans stand out: forget about complicated procedures! We provide you with practical small amounts in addition to helping you avoid credit checks. Don’t risk applications elsewhere appearing on your credit record. Fill out our online form now! In addition to providing you with flexible repayment plans, DMO Credit is pleased to offer you an attractive discount if you repay your loan before the due date! Benefit from a penalty-free plan designed to be the most advantageous for you. Our micro-loans are specifically designed to be convenient for you and to benefit you from start to finish! Get Approved For A Payday Loan Today ! One of our agents will take care of your request and will send you a contract to fill out. Once your request approved, your loan will be directly deposited into your bank account. So, don’t hesitate ! Just like thousands of other Canadians who had a payday loan through us. Fortunately, we’re here to help you. At DMO Credit, we offer you quick payday loans and we don’t refuse any credit file. To get your $500 personal loan today, read the criteria and fill out the online form. * $0.50 banking fees not included. We are now open Monday through Friday from 8:30am to 8:00pm.